Mon-Fri 10-6, Sat 9-5, First Fridays 10-9. Extended hours during the holiday season. International fair trade shopping for gifts, home décor, jewelry and personal accessories, nativities and ornaments, musical instruments, fair trade coffee and chocolate, and soup, cookie, and dip mixes from Soup of Success. Monday to Friday 10-6, Saturday 9-5, first Friday of every month 10-9. Extended hours during the Christmas season. 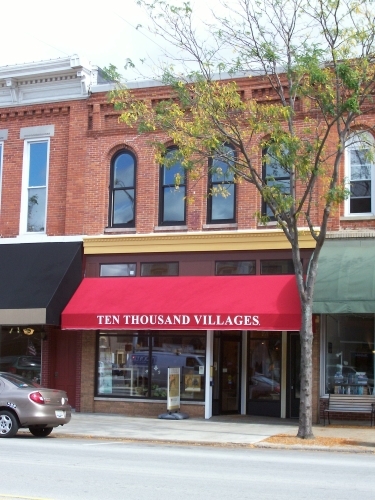 Ten Thousand Villages in Goshen was established in 1977. We are one of a network of Ten Thousand Villages stores through the US and Canada, and part of the larger network of fair trade stores in North America and around the world. Our mission at Ten Thousand Villages is to create opportunities for artisans in developing countries to earn income by bringing their products and stories to our markets through long-term fair trading relationships. Ten Thousand Villages is not for profit and works with artisans who would otherwise be unemployed or under-employed. This income helps pay for food, education, health care, and housing. At Ten Thousand Villages, your purchase makes a difference. 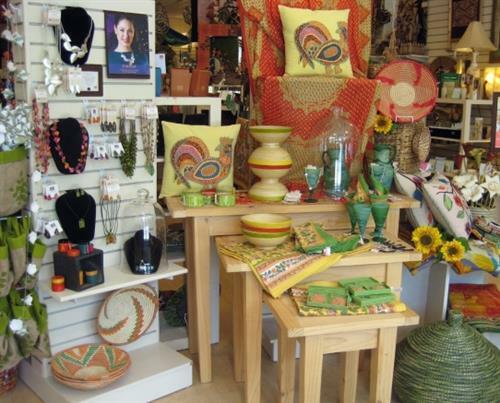 Ten Thousand VIllages has been in Goshen since 1977! 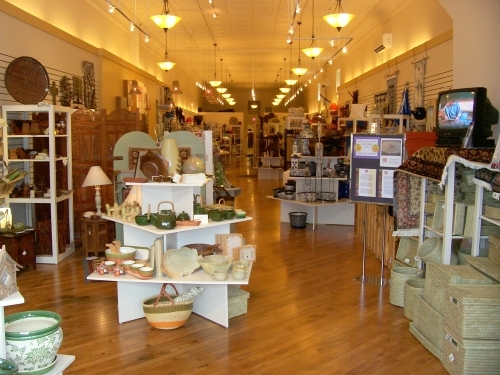 Located at 206 S Main St (State Road 15) in Goshen's historic downtown. Look on the east side of the street for the bright red awning.